Working at Heights Certificates are valid for 3 years. Contact us for Refresher Training! 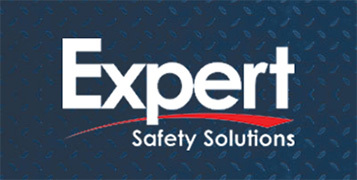 We are pleased to offer the Working at Heights Safety Training Program in partnership with Expert Safety Solutions, a CPO Approved Training Provider. There are two modules to the Working at Heights Training Program: Working at Heights Basic Theory and Working at Heights Practical. The Working at Heights Basic Theory module must be successfully completed before the Working at Heights Practical module is taken. From $99 + HST. Please inquire for details. How to strengthen workplace safety culture. The importance of preventing falls from heights. Hazards and general safety practices. The purpose of personal fall protection equipment and its use. Practical measures to reduce the number of falls-from-heights incidents, injuries and fatalities. Participants will be evaluated on the basis of written and hands-on tests. The instructor will conduct a brief review at the end of each segment, followed by a quiz that will be handed in, marked for the record, and sent to the Health & Safety Training Administration & Certification Unit of the Ministry of Labour. Employers have the responsibility this training program standard with additional information, instruction and training in workplace-specific policies and procedures and workplace-specific equipment related to working at heights. In addition, employers must ensure that they meet the training and other requirements in the Occupational Health and Safety Act and its regulations. Workplace falls endanger lives. Complete your Working at Heights training today.